The ICA is an international non-governmental organization dedicated to the effective management of archival records and preservation of the world's archival heritage. It comprises about 1400 members in 199 countries and territories. The ICA closely collaborates with the Council of Europe, UNESCO and many other influential NGOs. 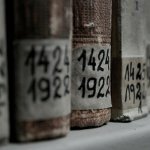 International Archives Day was established to raise awareness of the importance of archives, promote their protection and free access to archives. The celebration also focuses on enabling dialogue between creators and users of archives, archivists, and policy makers. Besides, International Archives Day is a celebration of the contribution of archivists and their professional solidarity. On June 9, ICA members in various countries hold various events and activities, including (but not limited to) exhibitions, workshops, conferences, round tables, lectures, symposia, open days at archives, debates, receptions, and many more.